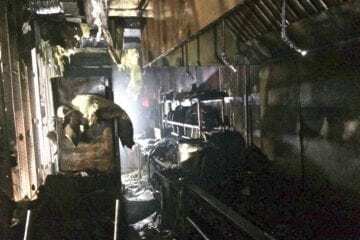 A fire late Sunday night heavily damaged a restaurant at a shopping center in Moyock. Firefighters were called to Sakura Restaurant at the Moyock Commons Shopping Center at 11:38 p.m., after a retired deputy sheriff noticed smoke coming from the front door and an orange glow inside. Moyock Fire Department crews found heavy smoke and fire when they went into the business but were able to put it out in 20 minutes, said Fire Chief Robert Pervere. Members of the Crawford Township Volunteer Fire Department, Currituck County Fire-EMS, and Navy Region Mid-Atlantic Fire Services at Northwest Annex helped keep damage to neighboring business minimal, according to Pervere. He added that many of the adjacent business were operating normally on Monday. “The fire’s origin was isolated to the kitchen area of the business, but the cause is still under investigation,” Pervere said.